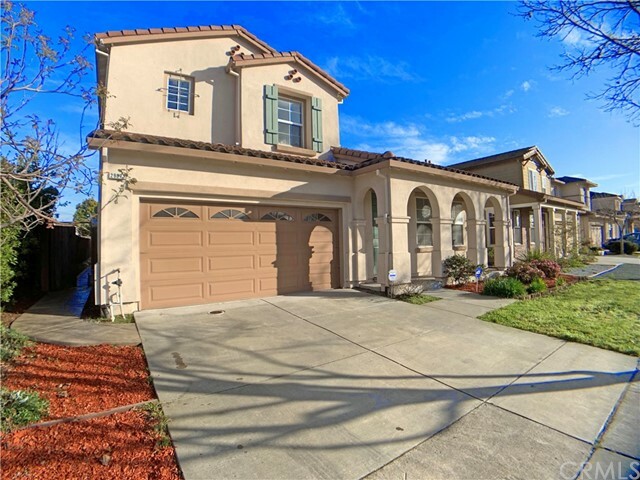 All Hayward homes currently listed for sale in Hayward as of 04/23/2019 are shown below. You can change the search criteria at any time by pressing the 'Change Search' button below. "Perched at the top of the East Bay hills, this magnificent Tuscan residence invites you to embrace the opulent lifestyle at the Crown Point, Stonebrae. Enjoy panoramic San Francisco Bay view from sunrise to sunset. Scenic TPC golf course is the open backdrop. No refinement options on the builder's upgrades and the owner's wish list are left unimplemented. Be impressed by the upgrade list. Plus the neoclassic design choices elevate the architectural style to its new height. Not to disappoint, this home is complete with state-of-the-art lighting, sound, and smart home systems. Truly, an amazing luxury home in a class of its own. Part of the guard-gated Stonebrae Country Club community, it offers the opportunity to indulge in exceptional dining, golf, and tennis, health and fitness training, hiking and biking trails. Centrally located on the East Bay, commute via 92, 880 and 580 is within quick reach." "Amazing development opportunity. Located minutes from BART, transportation, shopping, schools, and centrally located in Hayward Ca the heart of the Bay Area. Zoned to build 12 townhouses or a 16 unit apartment complex." "Live Luxury Non Distressed Auction! Bidding to start from $900,000! Terrific turn key 4 bed, 3 bath with a 3 car tandem garage and large yard. (downstairs option for 5th) This opportunity won't last. Enter a gorgeous & architecturally pleasing entryway that offers modern appeal & appointments. Open & inviting foyer w/upgraded premium hardwood floors surrounded by plush carpeting & high ceilings. Open floor plan w/high quality JBL surround sound, recessed lighting, designer paint & home monitoring security system including all entry way and window sensors, motion detectors, glass break detector, emergency call buttons. Large open entertainers kitchen with center island, tile counters with back splash, recessed lighting & ample storage. The kitchen opens to the family room & offers direct access to the rare on the market premium lot with large back yard. All bedrooms upstairs with a beautiful and inviting banister to your bedrooms and master retreat. The master bedroom offers dual entry doors, plush carpeting & master bathroom retreat with dual sinks, large walk-in closet, enclosed shower & bath. The tandem can be converted to yoga/ workout/ game room or additional storage. The large back yard has textured concrete and fire pit. Enjoy the location within Eden Shores & HOA amenities; pool, rec and play areas, clubhouse, picnic, BBQ, basketball & tennis, trails, lookout over wetlands. located near the 92 fwy, with new /exciting retail business right outside the community." "VERY MOTIVATED SELLERS. RENOVATED ALL BRAND NEW!!! Brand New Bath, Granite Counter-Top, Tile Floors All Brand NEW. Nestled amid a tranquil Creekside Setting. Crown Molding, Newer Stainless Steel Appliances in the Upgraded Kitchen. This is the ONLY Former Model Home with Vaulted ceilings. Come see this beautiful 2-Story Home that features an Open Floor Plan with unexpected finishes. Formal Living & Dining Room will make you feel right at home! Easy access to 580 & 880 freeways and yet, tucked away from the hustle and bustle in a your own private Street. This REMODELED home boasts the largest square footage in the Glenbrook Lane Community!" "This property is an opportunity for you to own in Hayward! Built in 1994, blocks from Chabot College, near I-92, H-880, 580, easy commute centrally located to Silicon Valley, bridges, Tesla, Apple, Google, Facebook, Youtube,.. a long list of location value of this home you can call it yours!! Great opportunity for a contractor to upgrade and live in or an investor to receive rental income. Currently occupied by renters to vacate. Please do not disturb occupants."